This week on Sequential Fiction, Brian talks to Kevin Boyd,the comics co-ordinate at Fan Expo Canada about this year’s show, the guests, the venue, and lots more. Plus, Brian and Kevin talk about the final big comics related movie release of the summer, Suicide Squad. Suicide Squad broke August box office records with a $135million opening weekend, besting the previous record holder Guardians of the Galaxy which stood at $94million. This, despite largely negative critical reviews from the press. Interestingly while Suicide Squad holds a 26% review score among critics, it’s audience score is holding at 72%. Over on Metacritic, the movie has a 40% critical score, and a 68% audience score. In any case, both Brian and Kevin enjoyed the movie and recommend it as “Fine popcorn summer action movie fare.” While it doesn’t do anything particularly new, the things it does are well executed and entertaining. 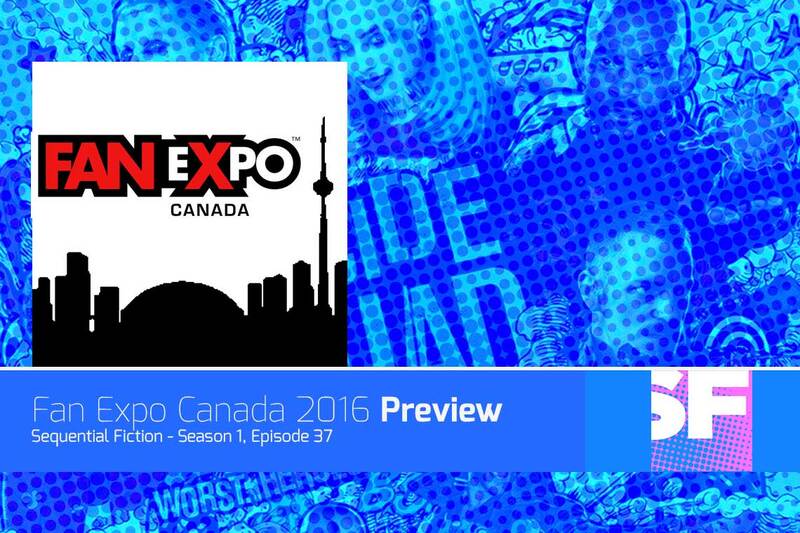 Brian and Kevin then discussed Fan Expo Canada, among the things they talked about included the phenomenal guest list this year, the activities and vendors, the spectacle of the show, and of course the comics guests.